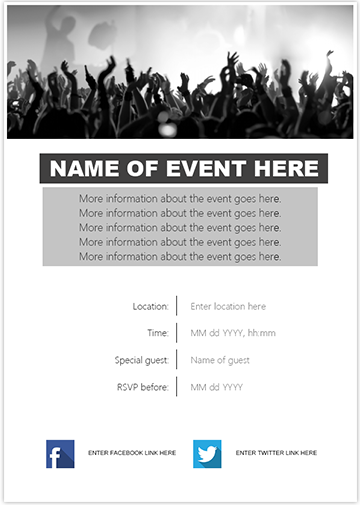 Simple and easy to modify event template in black and white colors. Easily add your information including Facebook event link and Twitter profile and print the invitation or save it as a PDF file to send over email. Simple and easy to modify event template in full color. Easily add your information including Facebook event link and Twitter profile and print the invitation or save it as a PDF file to send over email.